Two wines are produced, Ergo Sum is the premium label, taking the best barrels, and made with an eye firmly on the style of the northern rhone wines. Most often the south slopes provide the base, producing a powerful, savoury, cool climate wine of complexity and longevity. 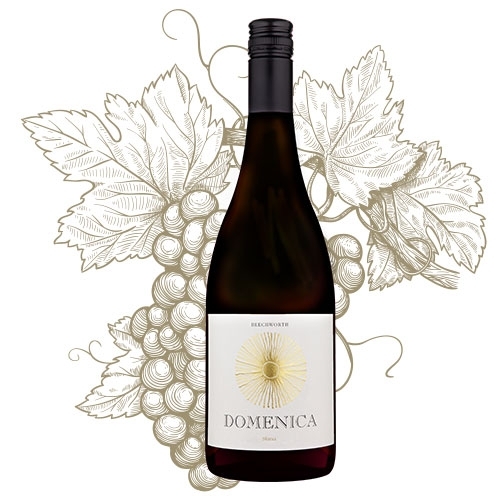 Domenica is softer, still powerful, with a deep core of fruit and the structure to live for many years. Again, both are traditionally made. Whole bunch inclusion is dependant upon the season, up to around 25% of the batch. The remainder is lightly crushed, destemmed, then taken to an open topped concrete tank, where it usually sits for a few days prior to the commencement of fermentation. This takes about two weeks, with hand plunging the extraction technique employed. Taste and seasonal conditions will determine whether any post fermentation maceration is undertaken, then the wine is basket pressed, blended, and taken to barrel for maturation for around 21 months. The finest French barriques are used, around 25% new. Ergo Sum is bottled under cork closure, and the Domenica under screwcaps.